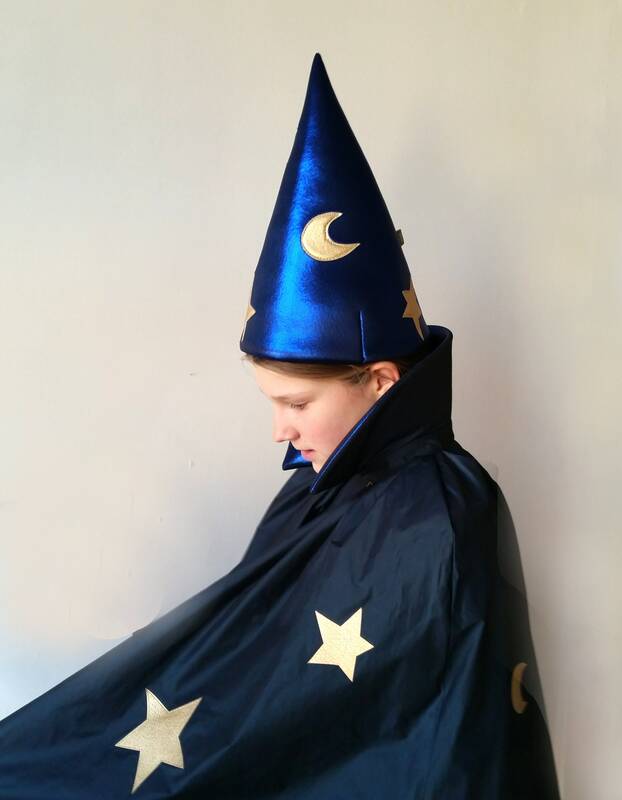 Here ONLY the sorcerer's cloak small! A truly "enchanting" costume! 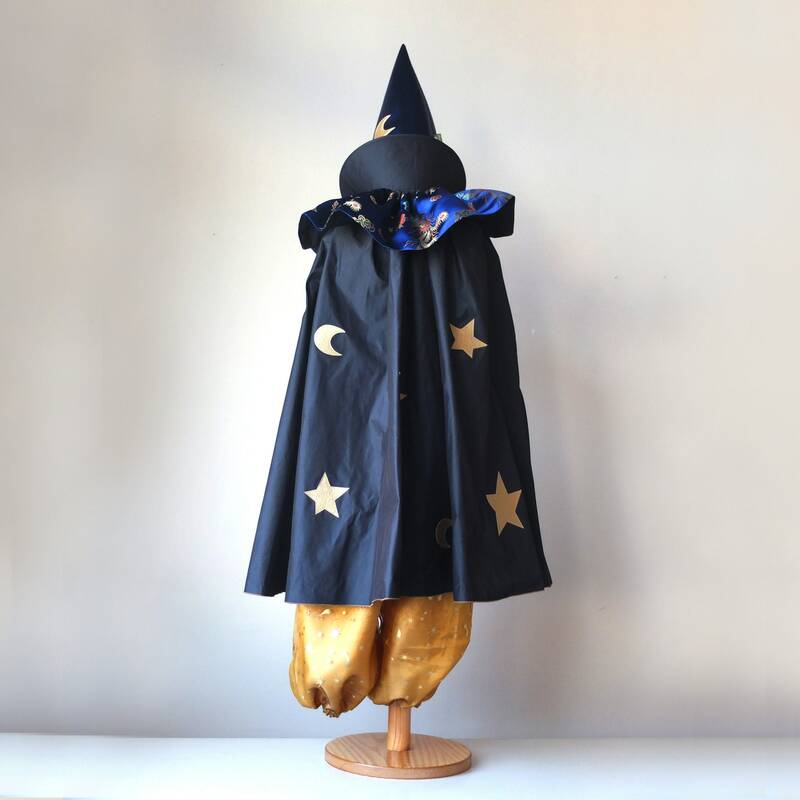 Very noble and opulent, therefore, our magician comes with his eerie rustling dark taffeta cape with golden stars, behind whose shiny blue stand-up collar you can hide well. 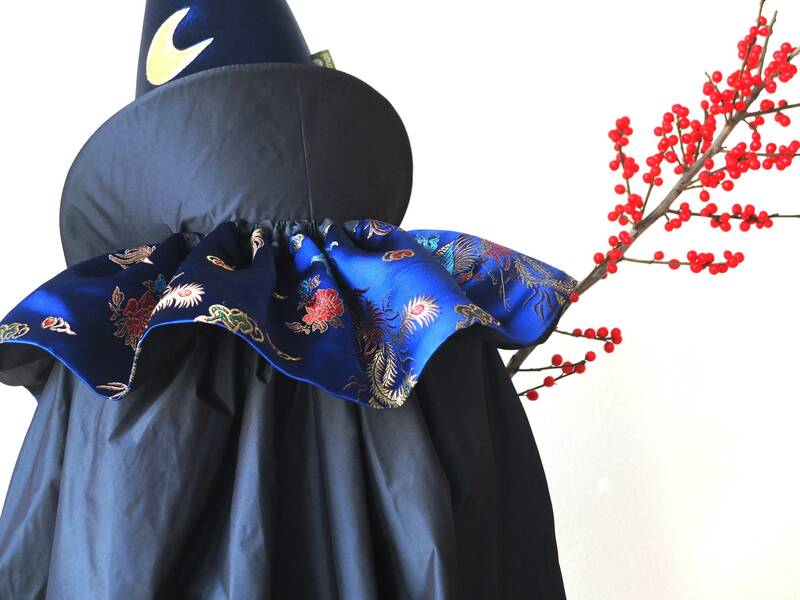 This is crowned by the flounce collar of bright blue jacquard satin with embroidered magical patterns, which also fits well with a classic Pierrot. 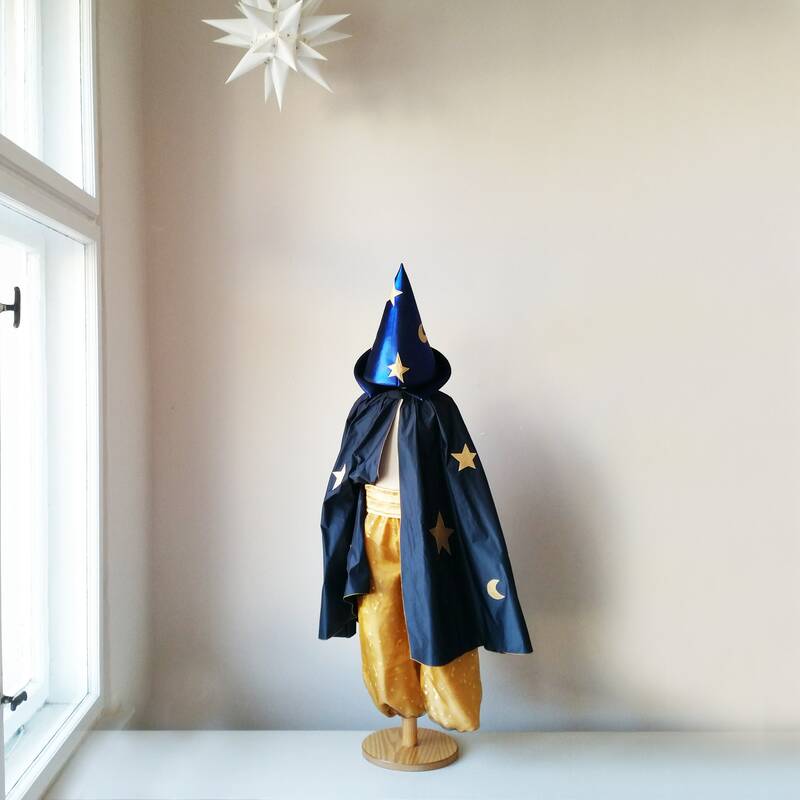 The satin of the harem pants shines golden under the stars organza and is therefore well wearable from both sides .. either satedold bright or slightly muted with glittering golden stars, an all-rounder for the fairing box! The golden satin sash forms a good conclusion for the trousers and in combination with the trousers alone is already a splendid costume, with a small vest (soon in the shop) already a complete Little Muck!